An eight-week bus diversion should be made permanent, an Aberdeen councillor has said. Preparatory work is under way to create the £163 million Baird Family Hospital and Anchor Centre at Foresterhill. As a result, First has advised its number 3 service will be diverted along Ashgrove Road West, North Anderson Drive and Midstocket Road, missing out Camperdown Road. 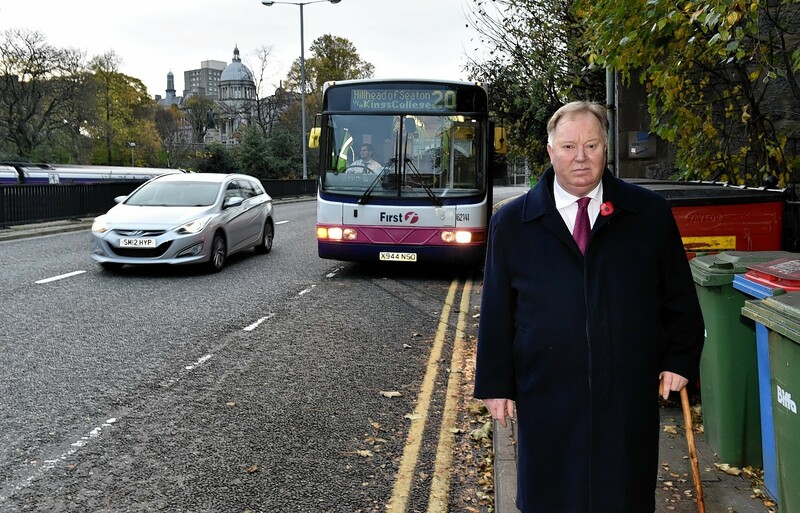 Last night, local councillor Bill Cormie called for the bus company to continue that route beyond the eight-week works. In January, there was anger after the number three was re-routed re-routed away from the top of Midstocket Road and along Camperdown Road, leaving many with a long walk. First claimed the decision was in the interests of public safety. Mr Cormie said he hoped the revised route would be kept, adding: “This route is exactly what residents have been calling for. “These herring bone streets around the hospital are not built for regular bus use, there is now a bus every three minutes down Camperdown Road. Jackie Bremner, NHS Grampian’s project director, said: “Due to vital underground works Foresterhill Road needs to close to traffic at the Westburn Road junction for a period of eight weeks from March 25. This is to ensure that a safe working environment is maintained.